Here is a great new resource for your bilingual home! 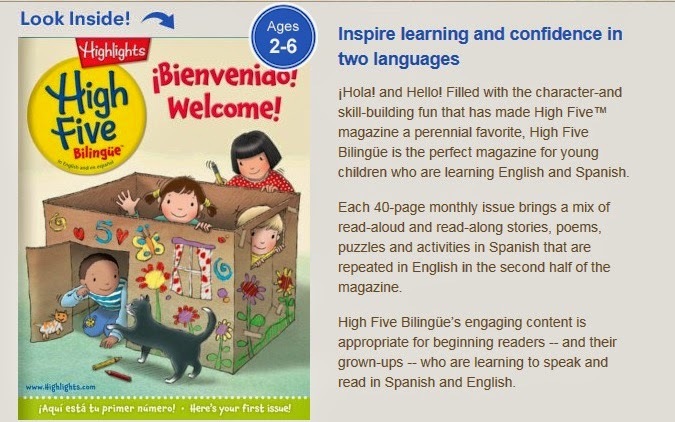 Highlights is now offering their popular High Five magazine in Spanish, called High Five Bilingüe! Go to their website to sign up for a yearly subscription!